You stand on the edge of a strip of asphalt, in the middle of a breezy, weedy, Southern forest. It's nearly sunset and the day's final rays sprawl over hay rolls and a small pond across the road. Behind you, a long trailer home sits in a clearing, piles of old and discarded possessions heaped haphazardly around it. More hazy structures dot the horizon, and at your feet there's a small, elephant-shaped backpack. You pick it up and turn it around. A woman's voice calmly says, "I remember missing the school bus that morning." True enough, the bus never comes and you're free to roam around the immediate area, exploring the forest, trash, houses and cemetery around you, learning more about yourself and your past. This is Home is Where One Starts..., a short exploration game inspired by TS Eliot's The Four Quartets and created by indie developer David Wehle. I spoke with Wehle about the poetic influences behind his game and the wider state of exploration-based games. Explain your history with TS Eliot's poetry and how his Four Quartets influenced this game. I love TS Eliot's ability to illustrate how the beginning relates to the end in a cosmic sense. This story is a memory to the narrator, but an actual experience for the player. How do those two perspectives fit together? Does the player's experience contradict the narrator's, and why would that be? There's actually another TS Eliot quote hidden in the game that best sums up the story: "The end of all our exploring will be to arrive where we started and know the place for the first time." 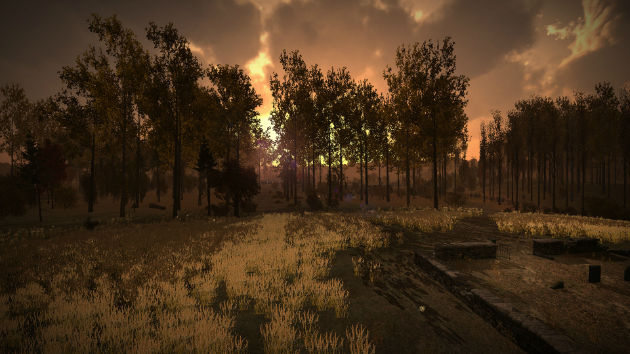 This is an exploration game where you arrive at the beginning and see it with new eyes. Did you grow up in an area similar to the one portrayed in the game? I feel a lot of hate in the world could be extinguished if everyone simply had loving parents. I grew up in Southern Virginia, and while I had a great upbringing, some of my friends in elementary school did not. I wanted to tell them in my little kid way that everything was going to be all right, but I just didn't know how. As I prepare to start a family of my own, I'm reminded of those friends and how innocent and important childhood is. This game is basically me as a reflective adult telling those kids it's going to be all right. I feel a lot of hate in the world could be extinguished if everyone simply had loving parents. 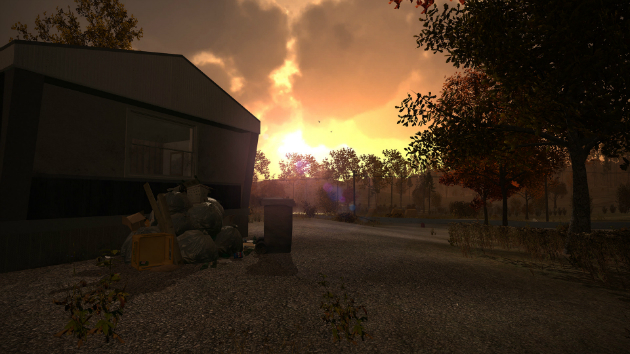 Is Home is Where One Starts... a game, an interactive experience or something else entirely? Do the labels matter? To me it's an exploration game, but I also like the term "secret box" game coined by Joel Goodwin in his fascinating article about why "walking simulator" is a useless name. I think labels can help gamers know what they're buying, but one of my favorite things of the indie movement is this freedom from boundaries. I had never seen anything like Dear Esther when it came out, and it changed my life in some ways. Looking at labels and deciding how indie developers can change it is why being a gamer is so exciting in this day and age. Why did you make Home is Where One Starts...? What about this situation, character or narrative style called to you? My intention wasn't to make a clear-cut narrative like Gone Home; it was to experiment using the environment to accentuate metaphors and symbols. The plot is vague because I wanted the player to infer what happened and decide for themselves how this story took place. I wanted the player to ask, "Why is this dirty toy duck under an abandoned bathtub," or, "Why is this glass slipper near these pumpkins?" I carefully placed every object to tell an indirect story about hope and childhood, and I think exploration video games are perfect for that sort of storytelling. I love this genre of gaming, but I think to expand on this girl's story would go against the intention of the game. I believe it resonates emotionally with people because of the gaps in the story, and the biggest compliment I can receive is that this game acted as a hopeful mirror for people who had a sorrowful childhood. Home is Where One Starts... is available now on Steam and itch.io for $3.